Shrink Small Outline (SSOP) and Quarter-Size Small Outline (QSOP) are surface mount, leadframe based, plastic encapsulated packages, suited for applications requiring optimum performance in IC packaging with compressed body size and tightened lead pitch. 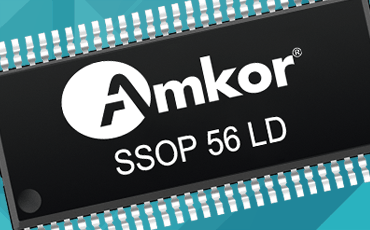 The SSOP and QSOP packages provide value-added, low-cost solutions for a wide range of applications, with the QSOP IC yielding a significant reduction in size. New developments include larger/higher density leadframe strips (SSOP) and leadframe roughening for improved Moisture Sensitivity Level (MSL) capability.